We just got back from Cabo San Lucas for Spring Break, and we all had the greatest time. One of the highlights was the cool zipline adventure we encountered while there, and the fact that it was unexpected made the whole experience even better. 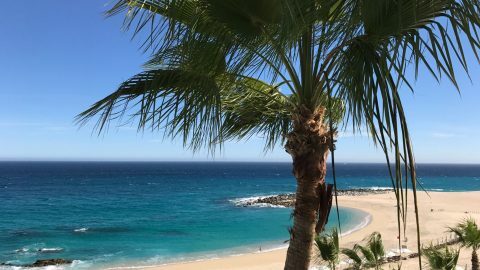 When we planned our trip, we knew we wanted a combo of chill and excitement, so we researched some cool things to do while in Cabo. 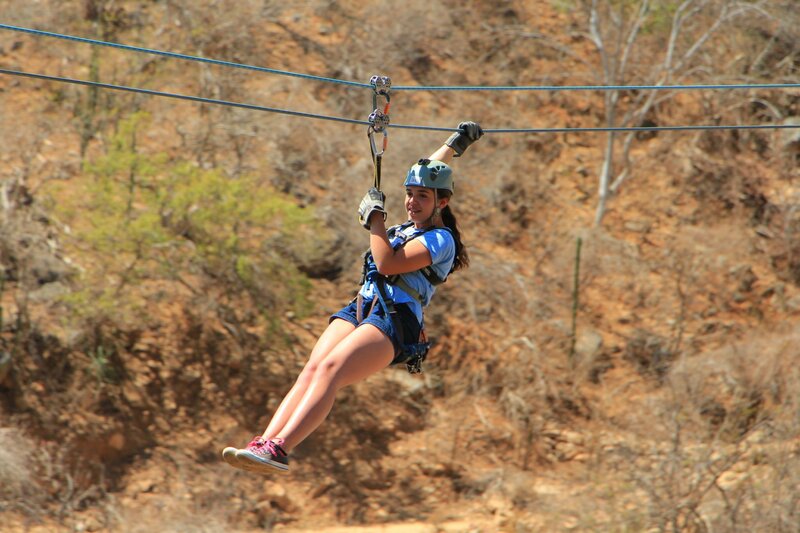 After finding the zip lining option through our Hilton Los Cabos Resort contact, we signed up without looking very deeply into the details. 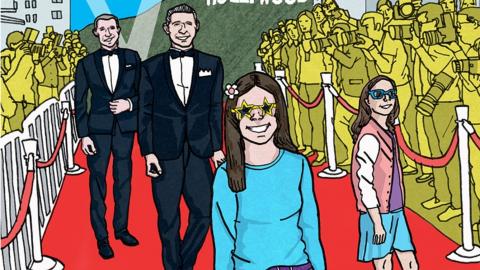 It was such an awesome way to do this, because none of us knew what to expect so each activity was a fun surprise. We’ve taken the girls ziplining since they were little (probably too little, but places like Costa Rica didn’t seem to pay that much attention to ages), so they know the drill. This was a whole other level. The friendly guides at Cabo Adventures drove us an hour away from the famous Mexican beaches, and up into the craggy mountains all dotted with cactus and scrub. Our van was packed with people, all lurching and rocking over the rough dirt roads into base camp. From there, it was all up. Read on for some highlights! Ava’s an old hat at ziplining, since her first time was at 4 years old! This one was pretty amazing – they strap you into a harnass in a seated position, and then push you off a plank for a 75 foot drop into a ravine. As you free fall for about 20 feet, the rope catches you and turns into a swing that glides you over the creek bed below. Rappelling down the cliff, Triton shows off his guns. At one point, course designers must have thought guests wouldn’t be freaked enough, so they added a 100-foot climb up a jagged rocky canyon face, and then rappel down a sheer cliff. Triton loves a good challenge, and he mastered this one with ease. 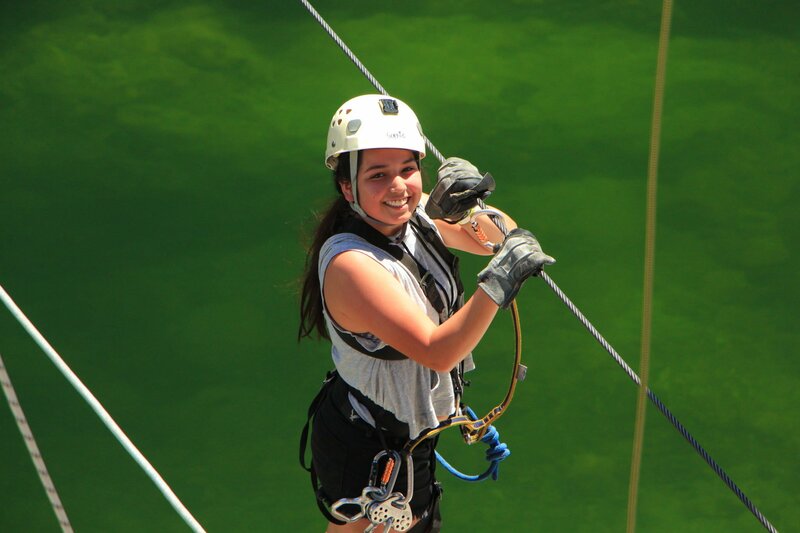 Sophia’s sweet smile over this ravine is brave, since she is balancing on only a thin wire. They saved the best for last, and this zip line was the longest we’ve ever experienced. The Superman spanned nearly one mile and took more than a minute to traverse from the top of the mountain back down to the basecamp – all while strapped into a laying position on your tummy with your feet out behind. Get it – Superman. It was such a rush! After the thrills of The Superman, we thought it was lunch time, but nooooo. We got to drive a dune buggy through a rocky, dusty course across dry streambeds and over boulders – all at breakneck speeds. Good thing we have all that experience driving in So Cal traffic! Don’t worry, accident police, we were wearing our helmets and seat belts. SOOOOO FUN. The Superman ride was brilliant! So. Much. Fun. After all that, we ate delicious quesadillas with fresh tortillas handmade by the nice señora, washed down with fresh, iced limonada and jamaica. And then we bought the exhorbidently expensive photo package capturing each of our day’s activities. 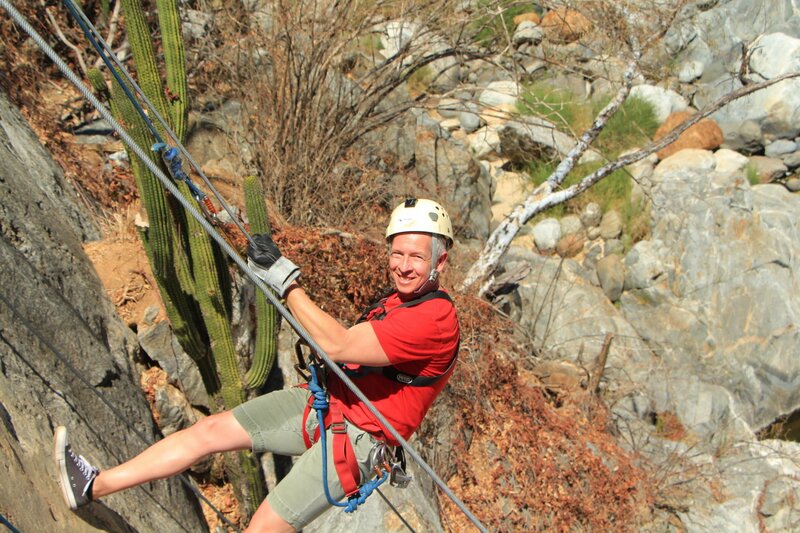 Yep, we highly recommend this amazing outing from Cabo Adventures. From door to door it was a full 7 hours of fun and worth every minute.